Help spread the word of our Spring Sale and win one of three gorgeous angora Twists by Jesus Peiro! On Sunday 12th November we will be opening the boutique for an exclusive sample sale event. We have limited appointments available so please book early to avoid disappointment. Suzanne Neville Designer Event – 6th Feb 2016! 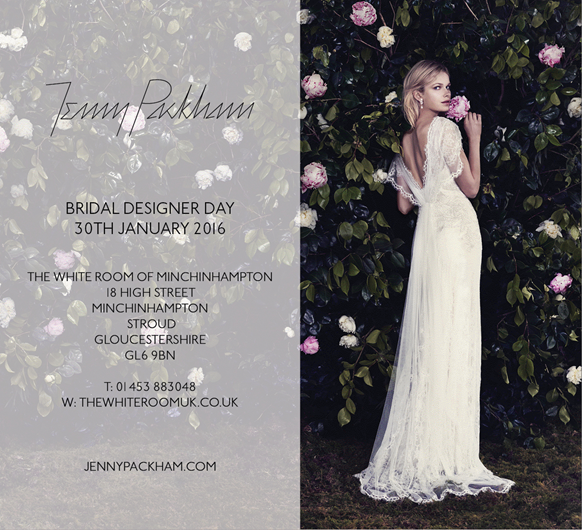 05 Dec: Jenny Packham Designer Event – 30th January 2016!